The Rajasthan and Uttar Pradesh governments have said that they would not allow the movie's release, till certain controversial portions in the film were removed. NEW DELHI: Amid a raging controversy surrounding Sanjay Leela Bhansali's "Padmavati", the Ministry of Information and Broadcasting today said the Central Board of Film Certification (CBFC) should be allowed to do its job. Amid rumours of a romantic dream sequence between Rajput queen Padmavati and Alauddin Khilji's characters in the film, many Rajput groups have been protesting against the movie, alleging that it distorts history. Historians, however, are divided on whether Rani Padmavati existed. "CBFC kisi kaam ke liye bani hui hai. Usse apna kaam karne dijiye (CBFC has been tasked with certain works. 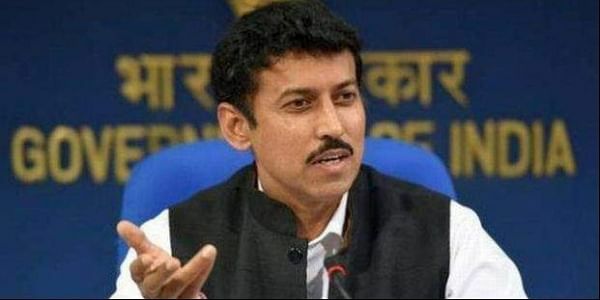 Let it do its job," Minister of State for Information and Broadcasting Rajyavardhan Singh Rathore told reporters here. The Rajasthan and Uttar Pradesh governments have said that they would not allow the movie's release in their respective states, till certain controversial portions in the film were removed. CBFC chief Prasoon Joshi had, yesterday, said the censor board was trying to come up with a "balanced decision" about (Padmavati), but the body should be given adequate space and time to do that. The security of actor Deepika Padukone, who plays the titular role in the fim, has been beefed up following a series of threats against the actress.